Kidnapped Nigerian girls: A terrible story, and also an excuse for Fox News to attack Hillary Clinton. Hundreds of Nigerian Girls Are Missing. Fox News Blames Hillary Clinton. 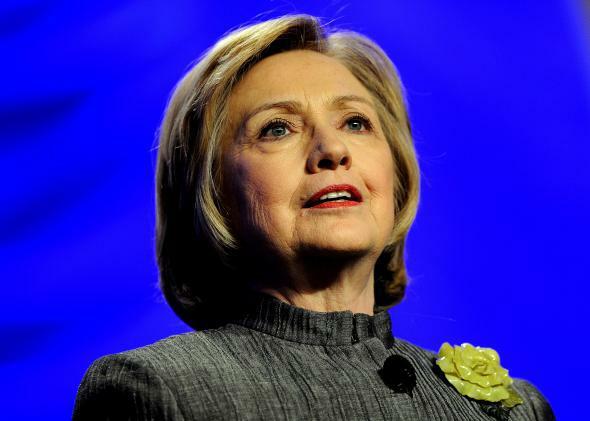 Conservatives are using the kidnapped Nigerian girls story to attack Hillary Clinton. For most people watching the unfolding story of the Nigerian girls kidnapped by the Islamist cult Boko Haram, the dominant feelings are despair and helplessness and fear that these girls will never be returned to their families. For much of right-wing media, however, it seems to have sparked a different emotion: Hillary hate. Fox News and other outlets have been very busy trying to find a way to exploit this story to derail Hillary Clinton’s presumed 2016 run for president, because that’s what they do. In order to pin this one on Clinton, conservative pundits argue that she failed by not having the State Department designate Boko Haram as a “foreign terrorist organization.” Brooke Goldstein, speaking to Megyn Kelly of Fox News, argued that failing to give Boko Haram this label “sends a green light, go ahead, continue with your terrorist activities, you can do it with impunity. We’re going to turn a blind eye.” Steve Doocy and Elisabeth Hasselbeck of Fox practically blamed Clinton for the kidnapping. By not labeling Boko Haram a foreign terrorist organization, Hasselbeck argued, the State Department “would have forbidden any sort of authority to increase securities to them, increase assistance to Nigerian security forces in that area and perhaps could have saved these girls earlier.” Doocy claimed that the reason that we can’t “go after them” is all because Clinton didn’t make the designation. This narrative has rippled through right-wing media, with Andrew McCarthy of National Review accusing Clinton of protecting Boko Haram because she is a devotee of “appeasing Islamists” and the Daily Caller saying this puts Clinton’s support for women and girls in the “allegedly” category, as if she had some prior knowledge of Boko Haram’s intention to kidnap girls. While this is obviously a complex subject, it’s a massive stretch to say that Clinton was tip-toeing around “Islamists” or that the foreign terrorist organization designation would have prevented this kidnapping. The only real reason to keep trying to hang this around Clinton’s neck is cynical partisanship, at the expense of taking the actual situation in Nigeria seriously for what it really is. Lest there be any doubt about that, Laura Ingraham of Fox News even tried to squeeze the word Benghazi into her coverage, to maximize the baseless Clinton hysterics. “I think part of the problem here is that we have a dead American ambassador. We have no one in custody. Not to bring it back to Benghazi,” she said, proceeding to insinuate that the girls were kidnapped because “Benghazi” made the U.S. look weak.